The HIDTA program provides assistance to local, state and federal law enforcement agencies operating in areas determined to be critical drug trafficking regions of the nation. The Warren County Drug Task Force is an initiative of the Ohio HIDTA, based in the Cleveland, Ohio area. HIDTA assistance is granted through the Executive Office of the President of the United States, Office of National Drug Control Policy. 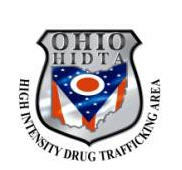 HIDTA provides funding used by the Warren County Drug Task Force to better coordinate upper level drug and money laundering criminal investigations in our region and beyond. This funding can be used for overtime, equipment, necessary travel for investigations, and other important resources needed during these oftentimes long and complicated investigations. In addition to funding assistance, the HIDTA program requires a collaborated local and federal effort to address drug trafficking related crimes. Because of this program, the Warren County Drug Task Force has multiple agencies combining resources and working together toward a common goal which allows us to operate more efficiently. This program also allows us to target larger criminal organizations that ultimately stretch to our southern most borders of the United States and into Mexico.